The world encourages us to love ourselves, believe in ourselves, and tell ourselves that we are beautiful, wonderful, intelligent and capable. But deep down what we most want to know is what God thinks of us. These nine Bible studies will help us to understand both who we are and how Christ is restoring us to wholeness. This revised Lifebuilder Bible Study features additional questions for starting group discussions and for meeting God in personal reflection, together with expanded leader's notes and an extra 'Now or Later' section in each study. There are nine sessions in this book. Lifebuilder Study Guides Self-Esteem by Jack Kuhatschek was published by IVP in August 2018 and is our 2717th best seller. The ISBN for Lifebuilder Study Guides Self-Esteem is 9781783598236. Be the first to review Lifebuilder Study Guides Self-Esteem! Got a question? No problem! 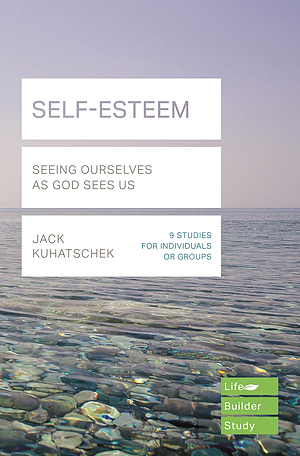 Just click here to ask us about Lifebuilder Study Guides Self-Esteem.